KT is the beautiful, now-college-aged daughter of Robyn and Rob, whose wedding we photographed in 2012. 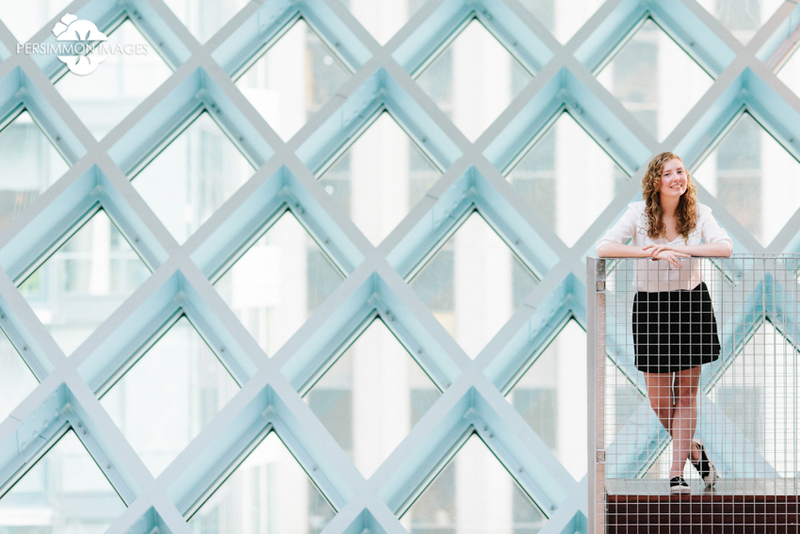 We were so pleased to make these senior portraits for her one evening late that summer at some of her favorite Seattle landmarks, the downtown branch of the Seattle Public Library and the Olympic Sculpture Park. I can’t believe I’m just getting around to sharing them! For KT, who is off at college now, this is probably a blast from the past. For me, it seems like just yesterday! Enjoy! This summer, I had the honor of creating senior portraits for my littlest sister, Elly, to commemorate her graduation from Newport High School. Her graduation announcement recently came in the mail and I was so happy to see one of these images in wallet size tucked inside. She’s on her way to Western Washington University to study art in just a few weeks, and I couldn’t be more proud. Way to go, sister! Today is an especially rainy, dreary Monday, so I want to take a step back in time to this summer and one lovely, dreamy, and drawn-out evening where the twilight seemed to last forever. 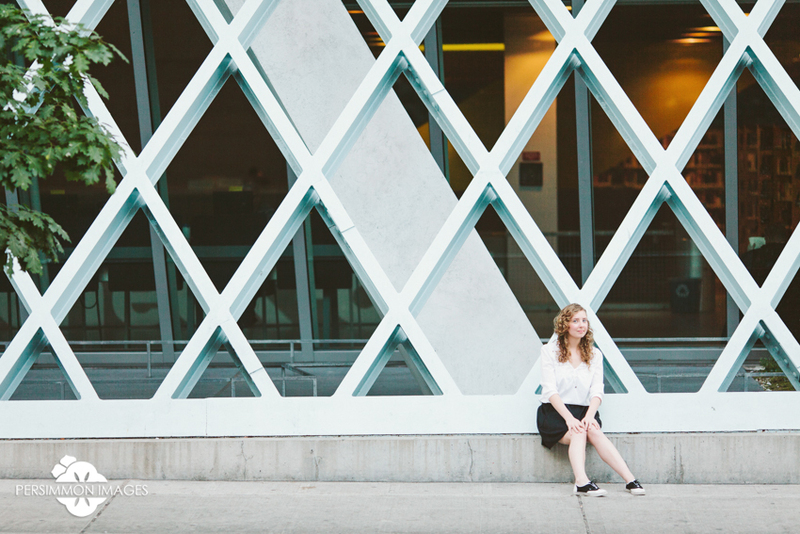 This was when we met Aris at the Bellevue Botanical Gardens for her senior portrait photography session. Aris is a student at Newport High School (as was I, and my sisters) and her mom was so kind as to bid on a photography package I put up for auction to benefit Newport’s Orchestra, where my youngest sister plays the violin. Aris told us she was photo-shy and a tomboy, but she was absolutely gorgeous in front of the camera, and having been one myself, I like tomboys the best! We had a great time wandering around the gardens as the evening wore on and on, and I love how her portraits turned out. Right now, they remind me just how wonderful a summer evening can be. Enjoy! I just want to hang on to the beautiful summer weather we had this Monday and Tuesday, but it seems to be slipping away into rain (already?!?). We did have a lovely, if short, summer this year… and here’s a nice photo session to remind me (and you) what it was like some days in Seattle. 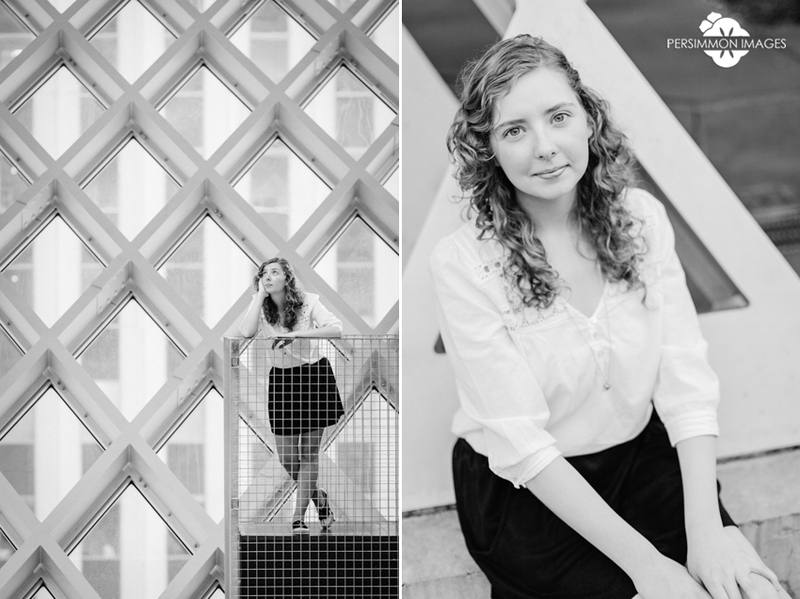 Justin and I took high school senior portrait photographs of the lovely Kaitlyn at the Olympic Sculpture Park in downtown Seattle. That place has so many locations to shoot that it’s still giving me ideas for things to try, even though I’ve had sessions there at least five times in the last year. Kaitlyn was a gem to work with and made our jobs as photographers ridiculously easy… and fun. I’m starting to really love senior portrait sessions! I hope to do a lot more in 2011. Thanks, Kaitlyn! You were a rockstar. And your hair is amazing.